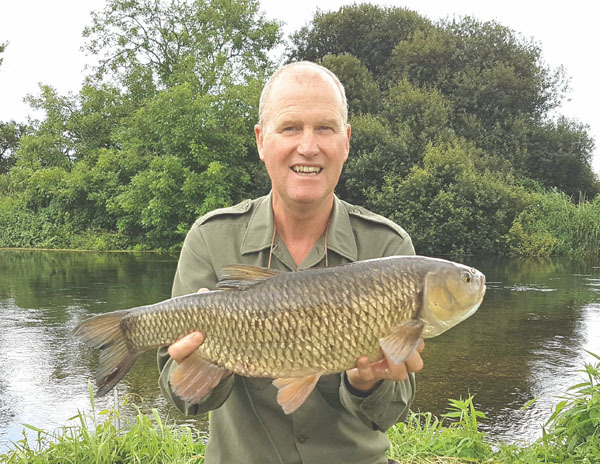 Two more visits to the Hampshire Avon and two big chub. The month of July was slowly turning to August and the guiding on the river Wye was not so frantic as last year so I’m managing to fish the H.Avon a little more. The first session was after I cancelled a guided session on the Wye as we had lots of rain and I was unsure about how things would look. So I decide to try the H.Avon that doesn’t flood as badly. I arrived late to find John fishing just below me. As I chatted to him his reel roared to the tune of a barbel taking line. This time I did the honors in landing a small 8lber for him. Time was moving on and I moved to a few swims and baited. It was impossible to see into the river as the water looked peaty and this was from the New Forest stream run off. Next session was three days later. I wandered far and wide looking for barbel and with the river in much better nick sight fishing was possible again. 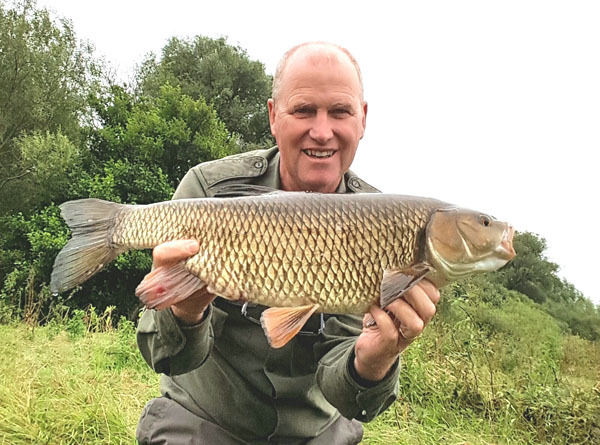 I spotted 3 doubles in different swims and went about catching them in one where I saw a couple of good chub. Out went the hemp and pellets and soon the barbel and chub were feeding well. There were 3 barbel but one double among them. The chub were first to the bait and I had a spirited little 4.5lber. The barbel disappeared for a while but the chub kept coming in for more. Bingo another chub made a mistake and this one felt much larger. It fought well and when in the net it looked a good fish and one the scales it went 6lbs 6oz and the 4th 6lber of the season so far. Andy Little was fishing just above me and came downstream to do the photo’s. thanks a million Andy. Then that was it in the swim and the barbel evaporated into thin river. 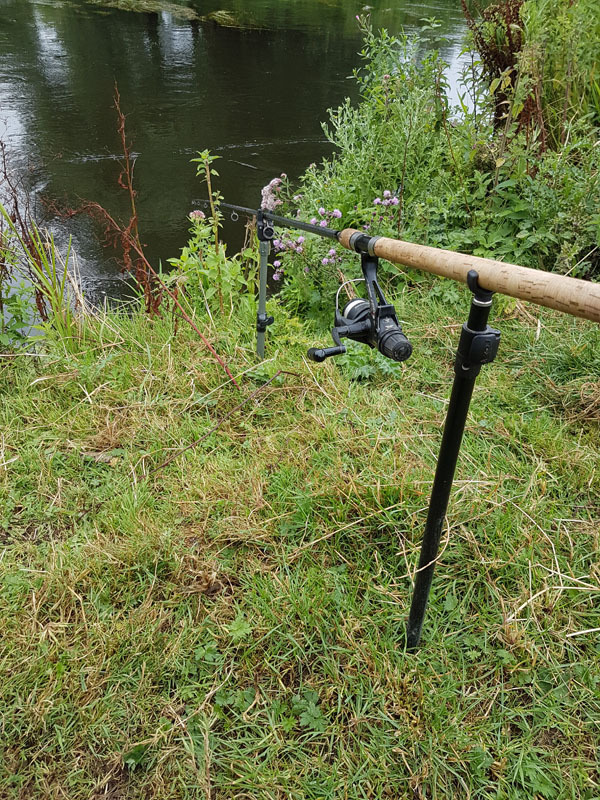 I move twice more way upstream and caught another chub and saw another small barbel but that was it. So not easy fishing but I’m just getting some great fish. I’m walking miles and feeding and looking so I suppose effort equals rewards. This entry was posted on Sunday, August 7th, 2016 at 9:31 pm	and is filed under Uncategorized. You can follow any responses to this entry through the RSS 2.0 feed. Both comments and pings are currently closed.